Pronto for Windows supports the following Products. 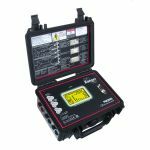 PM7503 Panel Mount Power Analyser The newest product in the range, a panel or rack mounted variant of our top of the range PM7000 Power Quality Analyser. As with the PM7000 and P7000FLM, as well as recording all other important power quality parameters, the PM7503 with the optional Interharmonics upgrade is able to record 100 Voltage or Current harmonics on all 4 inputs at the same time. PM7000 Power quality, hamonics, flicker and waveforms monitor Highly commended in the Electrical Industry Awards 2009, the PM7000 is the most powerful of the Power Master series, offering everything needed to monitor and record power parameters, including detailed harmonics, inter-harmonics and waveforms. 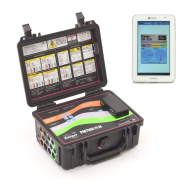 PM3000 Power quality, harmonics and Flicker monitor - a user-friendly, comprehensive, compact and cost-effective unit offering everything needed to monitor and record power for surveys and audits. 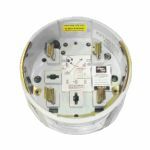 PM2000 Power quality, harmonics and flicker monitor in a meter socket housing - (USA only) A 5-channel data logger built into an electric meter housing that is ideal for responding to residential voltage complaints and power consumption problems. PM1000, Single phase power quality, harmonics and flicker monitor - a 3-channel data logger monitoring Flicker to IEC6100-4-15, line voltage and current and neutral to earth voltage. 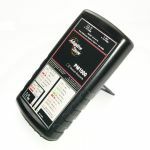 Ideal for responding to residential voltage complaints and power consumption problems. PM3006 2 x Three phase Multi-Channel AC Load Analyser - a six input TRMS high resolution AC current recorder suitable for high accuracy AC load monitoring of two three phase circuits/feeders simultaneously, with currents up to 2000 Amps RMS. 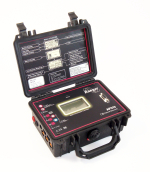 AP300 Hybrid Power Quality Analysers - Based on the PM3000, with six signal channels of various types, including AC voltage, DC voltage, K type thermocouples. Ideal for monitoring industrial process machinery. 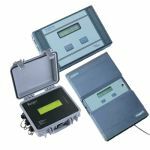 Earlier successful products have included the PM6000, the Harmonic Analyzer, the Scout and the Ranger series.